Fanboy Fail Friday! Pinky Tries To Meet Her Troy Dyer! But Fails Not Once! Not Twice! But Three Times! Missing Ethan Hawke By Minutes! Doh! 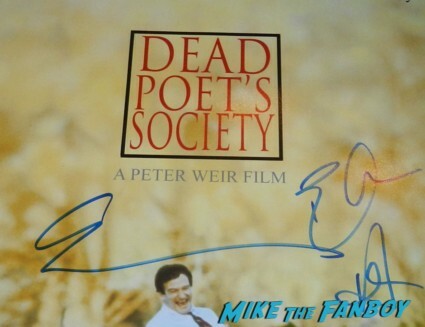 Car Chases & Near Death Experiences AKA How I Got Ethan Hawke To Sign My Dead Poets Society Mini Poster! Autographs! Photos! And Dead Blue Pens!